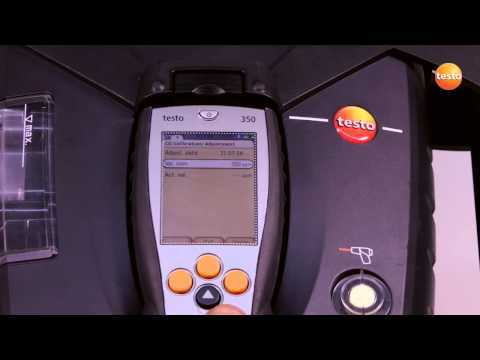 Testo Australia is a wholly owned subsidiary of Testo SE. 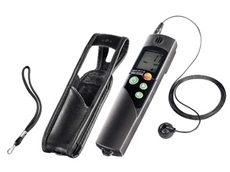 Testo SE is a manufacturer of quality hand held instruments and transmitters. Testo is a German based company, with over 2400 employees worldwide (including offices over in 70 countries). Testo specialise in measurement solutions for the Gas & Emission, HVAC&R, Health & Pharmaceuticals, Preventative Maintenance and Food markets. The world's greatest works of art are made available to the public because they've been thoroughly preserved through time.But, an unexpected system malfunction or human error has the potential to erode the integrity, or damage beyond repair, these often invaluable paintings. Art museums across the world are constantly striving towards uncovering new methods to quickly identify unsafe temperatures and limit ultraviolet (UV) light exposure. Thanks to new innovations in technology, that job is easier now more than ever before.Stepping out from the unknownTraditional monitors used to measure temperature fluctuations have an inherent fault; they're reactive by nature. 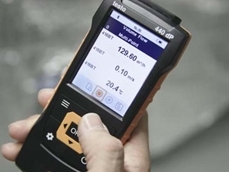 Museum directors and other personnel have to manually check the readings periodically and offer little peace of mind or reliability.The testo 160 series fills a sought-after need; digital temperature monitoring that transmits data through Wi-Fi about fluctuations in humidity, as well as UV light exposure. The testo 160 THL, for example, replaces the need for employees to continuously check readings by regularly transmitting information about the climate through email, text or on the smartphone app. 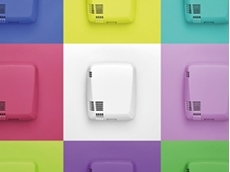 Should a condition change outside of the pre-determined parameters, staff members are instantly notified.Whether it be transportation, storage or exhibition, these new digital temperature monitors are small and therefore easily placed wherever they may be needed. Furthermore, the covers of these tools are able to be painted over in an effort to preserve the visual integrity of the exhibit.Shed the status quoApart from the revolutionary ability to transmit data quickly and directly to employees responsible for climate conditions, the Testo 160 THE gives museums unparalleled monitoring flexibility as well. While the THL provides internal humidity and UV light readings, the THE improves upon that need by offering two external probe connections.This type of adaptability is gaining traction across the industry because it affords the ability to monitor multiple locations in an effort to historically map changes in climate conditions, according to Museums Australia (Victoria). It's a strategy that has become crucial to preparing a layout to minimise damage from unpredictable events.Museums have an important responsibility; preserve the most treasured works of art ever created. Slight, often unnoticeable fluctuations in temperature or UV light can have devastating effects. Now, those looking after the climates of stored and exhibited paintings have reliable, flexible and unobtrusive tools to ensure they're well protected. 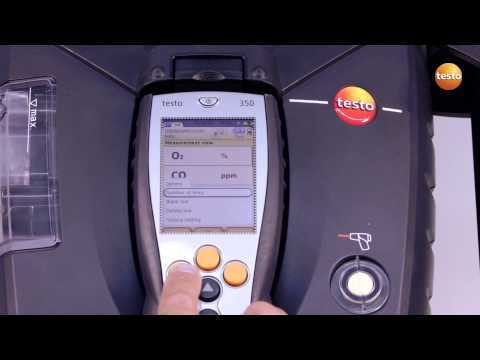 Contact a Testo representative today to learn more about the Testo 160 series. The marriage of science and technology has spawned a number of breakthroughs in various industriesParticulate monitoring – especially nanoparticles – has benefited as much as any other practice from the digital revolution. Industrial hygiene and indoor air quality are two areas that have gained an advantage through innovative tools that allow for quick on-site measurements to provide accurate, instantaneous readings.Mobile testingToxic gases and fuel exhaust both have the potential to seriously harm people if left unchecked. Nanoparticles specifically can be detrimental to pulmonary systems and can cause a wide range of devastating effects.The NanoMet3 can be used for any vehicleThe Testo NanoMet3 is a portable emissions measurement system (PEMS) that offers on-site testing of nanoparticles, as well as counting and classification. Designed to test exhaust from any make and model vehicle, the NanoMet3 provides a raw particle gas concentration of 1E4 to 3E8 pt/ccm.It's ideal for analysing solid nanoparticles of 10 to 700 nanometres (nm) and is in compliance with the Particle Measurement Programme (PMP). The data collected is stored onboard and can be easily transfered to a computer with the help of an SD-card or similar devices. The NanoMet3 offers ultimate versatility in that it's mobile, as well as 1,000 hours of use before it needs servicing.Clean airAerosols, dust and other fumes can be similarly dangerous in workplace settings. Monitoring the indoor air quality of any warehouse or job site is vital to fulfilling workplace health and safety regulations.The DiSCmini is a handheld diffusion size classifierHandheld diffusion size classifiers are essential for environmental testing. The testo DiSCmini provides portable nanoparticle monitoring for a variety of situations:Personal exposure.Workplace assessment.Filtration testing.Air pollution mapping.The key with the DiSCmini that other diffusion size classifiers don't offer is its ease of use. Though it's compact, it can effectively provide accurate analysis of particle number concentration, lung-deposit surface area and average particle diameter. It simplifies a task that can sometime get more complex than it should, and lasts the whole work day with its eight hour battery life. 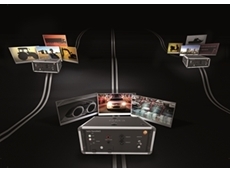 Similar to the NanoMet3, the DiSCmini also offers onboard storage and seamless transfer of data to a computer through an SD-card.With many particle monitors already highly accurate, Testo took a different route with the NanoMet3 and DiSCmini: Mobility. Don't let physical constraints stop you from doing your job. Go with a tool that adapts to your situation, while still providing best-in-class analysis. Contact a Testo representative today to learn more. Making contractor’s lives easierThere’s no shortage of solutions available in the electrical measurement market. The reason why Testo wanted to get involved was to offer a technology with real added value. Testo wants to provide contractors in the fields of heating, ventilation, air conditioning and refrigeration the ability to work more efficiently and safely.The new instruments are user-friendly, easy and intuitive, safe and suitable for a number of applications.Five new product familiesTesto is launching five new product families for electrical measurement of appliances and systems. These include:Three versions of a digital multimeter, which automatically recognises the measurement parameters by socket use, and which can be more safely operated using function buttons as opposed to a rotary dial.Three clamp meter models with a unique clamp mechanism for measuring tight-fitting cables - this allows for more precise cable grabbing.Two current-voltage testers which meet the newest voltage tester standard and select measurement parameters automatically and without the danger of confusion.Three voltage testers, equipped with an all-round LED display that can be read from any position. 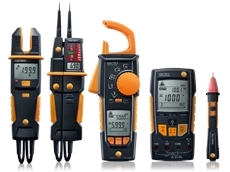 There’s also a non-contact voltage tester with a filter for high-frequency interference.testo 760 – the first automatic multimeterThe testo 760 digital multimeter family comprises three different models for all important electrical measuring tasks. Dedicated function keys replace the traditional dial on all three instruments, which allows for easier operation and greater reliability. 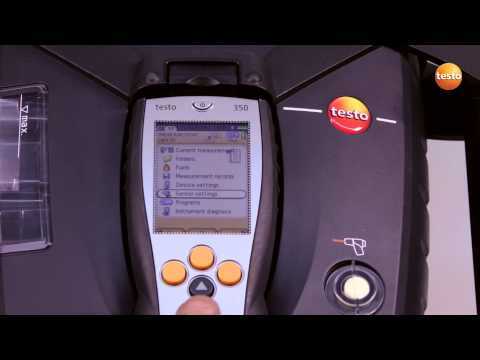 Measurement parameters are now detected automatically via the assignment of the measuring sockets and shown by the illumination of the appropriate function keys – incorrect settings are now impossible.The testo 760-1 model is the standard version for virtually all daily measuring tasks.The testo 760-2 has a larger current measurement range - the true root mean square measurement - TRMS - and a low-pass filter.The testo 760-3 is the highest specification model, including all the features of the previous two. In addition, it has a voltage range of up to 1,000 V, along with higher measuring ranges for frequency and capacitance.testo 770 – grab cables without touchingThe three instruments in the testo 770 clamp meter family are perfect for non-contact current measurement in switching cabinets. One of the pincer arms can be fully retracted into the instrument, meaning cables in tight switching cabinets can be easily grabbed. The automatic measurement parameter detection also helps to ensure reliable work. In the current and voltage area, all three instruments detect direct and alternating current and select other parameters such as resistance, continuity, diode and capacitance automatically.The testo 770-1 model is the standard version for daily measuring tasks, including starting current measurement.The testo 770-2 has a µA rangeas well as an integrated temperature adapter for all type K thermocouples.The testo 770-3 offers a power measurement function, along with Bluetooth connectivity.testo 755 – the first voltage tester capable of measuring currentThe testo 755 current/voltage tester family are the first of their kind: they’re voltage testers able to measure current. Each is also suitable for virtually all daily electrical measuring tasks. Each time they’re used, they automatically select the right settings in order to prevent dangerous incorrect settings.Both instruments can determine voltage/de-energisation, for measuring current and resistance, and for continuity tests. In addition, the integrated flashlight makes it easy to work in dark environments. Users can also replace the measuring tips, so that the whole instrument does not need to be replaced in the event of damage.The testo 755-2 model features a larger current range of up to 1,000 V as well as additional special functions. It features single pole phase testing and a rotating magnetic field measurement.testo 750 – the voltage tester with all-round LED displayThe three models in the testo 750 voltage tester family are the first instruments to feature all-round LED displays. These displays are easy to view from any angle and guarantee ideal voltage indication thanks to unique fibre optics.All three models meet the latest voltage tester standard EN 61243-3:2010 and have a safety specification according to CAT4. They’re also capable of continuity testing and rotating magnetic field measurement.The testo 750-2 is suitable for single pole voltage testing and has a flashlight along with an RC trigger function. Vibrating load buttons prevent accidental trigger tests.The testo 750-3 is fitted with an LC display to show the current reading.testo 745 – the non-contact voltage tester with low-pass filterThe testo 745 non-contact voltage tester features a voltage range of up to 1,000 V and is particularly well-suited to fast initial checking of any suspected fault sources. Once the presence of voltage has been determined, the testo 745 gives a warning via a clear visual and acoustic signal.In order to improve reliability, the voltage tester has a filter for high-frequency interference signals and is also waterproof and dustproof according to IP 67.With the introduction of these electrical measuring instruments, Testo now offers portable and stationary measurement solutions for almost all areas of application from a single provider. The instruments are available from HVAC/R and electronics retailers.Testo AGTesto AG, with its headquarters in Lenzkirch in the Black Forest, is a world market leader in the field of portable and stationary measurement solutions. 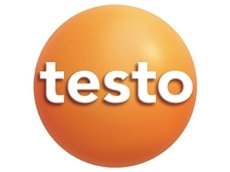 In 30 subsidiary companies around the world, 2,500 employees research, develop, produce and market Testo products.The measurement technology expert has convinced over 650,000 worldwide customers with highly precise measuring instruments and innovative solutions for measurement data management. Products from Testo AG help to save time and resources, protect the environment and the health of people, and increase the value of goods and services. From Testo comes the testo 420, accommodating for HVAC technicians to ensure accurate hood flow readings. Delivering precise measurements, meeting Indoor Air Quality guidelines and detachable from the flow straightener, the instrument is specially designed.The testo 420 comes with easy app integration due to its Bluetooth capabilities. The app can be downloaded and show real-time measurements on their smartphones. 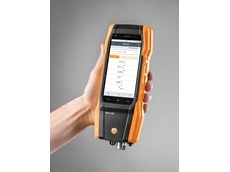 Designed for frequent use and rough conditions, the testo 420 features 30 hours of battery life and can operate in temperatures of between -5 degrees Celsius and 60 degrees Celsius.The Testo cloud can also be used toCreate customised report templatesCalculate the total volume flow/air exchange rateSend measurement values to customers, building managers and other parties via emailThe testo 420 is a testament to Testo Australia's ability to study the needs of the market and deliver a product that accommodates those requirements. 25/03/19 - Leading German measurement technology specialist, Testo announces the launch of their latest innovation – the new flue gas measuring instrument Testo 300.Built for high demand environments, Testo 300 combines an intuitive high definition SmartTouch operation with robust design and professional documentation and reporting.A major feature highlight of the Testo 300 flue gas analyser is the large 5” HD SmartTouch display, which allows intuitive one-touch operation just like a smartphone. This easy-to-use display enables simplified measurement as well as instant operation when activated from standby mode. Measurement values are displayed either as a graph or table, offering users more options for data analysis. Key features of the Testo 300 flue gas analysers also include bolted housing, robust sensors, protected display and secure mounting to withstand tough working conditions; scratch-proof display countersunk and equipped with an exchangeable protective film to ensure the screen remains undamaged while strong magnets ensure secure attachment; sensor technology designed for long life with up to 6 years’ service life with intensive daily use; and automatic dilution of up to 30,000 ppm CO. Thanks to Testo 300’s well-structured and intuitive options for all applications, users can easily measure and record flue gas, draught, CO, smoke count, differential pressure, differential temperature and tightness testing.Reports containing information on measurement values, customer applications and heating systems can be created directly on the flue gas analyser, with the user also allowed to add their own comments and data sets. 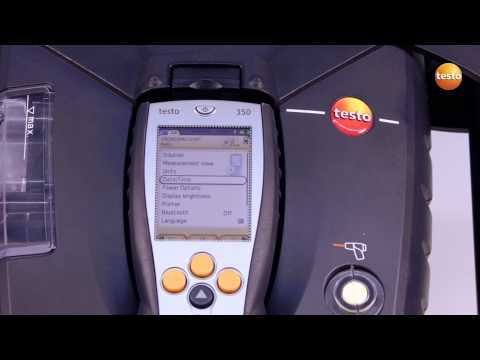 All technical work is checked off via electronic signature on the Testo 300, and reports can then be emailed to the client or stored on the instrument.Testo 300 flue gas analysers support both O2 and CO sensors and offer users the option of a third sensor slot for NOx measurement. Being highly configurable and customisable, the analyser provides a tailored solution for specific application needs.Testo 300 flue gas analysers come with a choice of two or four years’ warranty on all sensors. 02/03/19 - Technicians at industrial and manufacturing facilities rely on a range of electrical sensors and transducers to ensure the accuracy of automated processes. Testing these measurement instruments for performance is crucial for optimising operations.When analysing the electrical parameters of any equipment used in an industrial process, it’s important that the instruments used to test the equipment are accurate and error-free. 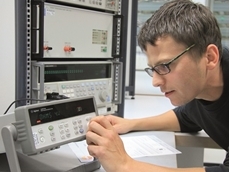 Calibration services, therefore, play a critical role in industrial processes.To test electrical parameters, technicians use a range of measurement solutions including multimeters (numerous factors including voltage and pressure); clamp meters (electrical circuit impedance); RCD/GFI testers (testing a device's electrical safety); earth testers (earthing resistance); and portable appliance testers (for on-the-go electrical devices).Additionally, there is a full line of testing instruments that cover every element of electrical performance.Ensuring your electrical measurement devices stay accurateElectrical calibration analyses the ability of units under test (UUTs) to record parameters such as voltage, current, resistance, inductance, and capacitance. The performance of UUTs is compared to precise testing instruments with thoroughly known characteristics, allowing the servicing team to perform calibration adjustments to the UUT, thereby reducing the risk of error in measurements.Testo's new Electrical Calibration Services Testo's new Electrical Calibration Services offer a new solution to customers with longstanding problems, as well as a way to optimise operations while still maintaining calibration servicing schedules. Testo’s team calibrates and performs diagnostics on a wide range of electrical measurement instruments, ensuring nothing is missed as the customer secures operational accuracy and efficiency.The new Electrical Calibration capabilities greatly expand the potential of Testo Australia’s team, allowing them to offer a more comprehensive service to customers nationwide. Having refined the calibration offering in the British and European markets, Testo ensures their Australian clients gain all the benefits of a thorough and professional calibration service for electrical measurement instruments without any risks.Contact Testo’s calibration team to learn more about the new electrical calibration offering and competitive pricing options on a range of services. 10/09/18 - Exposure to carbon monoxide can have fatal consequences. An odourless, colourless gas, carbon monoxide is produced following incomplete combustion in gas units. When gas appliances are not correctly serviced, the home can be at risk of carbon monoxide exposure. The best way to reduce this risk is to ensure all units are regularly maintained and serviced by expert gas fitters using the latest in climate monitoring technology.Carbon monoxide is lethalBeing colourless and odourless, carbon monoxide can be difficult to detect without expert tools. Exposure symptoms are similar to that of illnesses such as flu with the person experiencing headaches, fatigue and nausea. When these symptoms are present, it could mean that carbon monoxide is affecting indoor air quality.Small concentrations of the gas are not lethal, but exposure to higher quantities can contribute to the occupants passing out, or even dying. There have been a number of highly publicised cases of carbon monoxide poisoning requiring hospitalisation in Victoria recently, showing how widespread the issue is and how little people know about safe gas unit management. Improving gas unit safetyEnergy Safe Victoria advises that all gas appliances should be serviced at least once every two years in order to ensure there is no risk of carbon monoxide leakage. The gas fitter or any other maintenance service provider should be accredited and must comply with state safety standards, according to the Australian Institute of Refrigeration, Air Conditioning and Heating.How Testo helps reduce the risk of carbon monoxide poisoningUsing the services of accredited gas fitters equipped with the best climate monitoring tools and better awareness about the dangers of carbon monoxide will improve household safety standards nationwide.The threat can be minimised by ensuring gas fitters and plumbers are kitted out with best-in-class equipment. Testo offers a range of gas analysis systems to help experts assess safety in the home. Testo's 310 Flue Gas Analyser uses ultra-sensitive sensor technology to analyse up to five different gases, giving better oversight to any issues related to gas heating units.Meanwhile, the Testo 317-3 Ambient Carbon Monoxide Meter provides a quick and easy way to test for ambient gases, ensuring there is no risk to indoor air quality.For more details about our climate monitoring tools, reach out to the Testo team today. We can talk you through the equipment you'll need to monitor for carbon monoxide and other parameters.